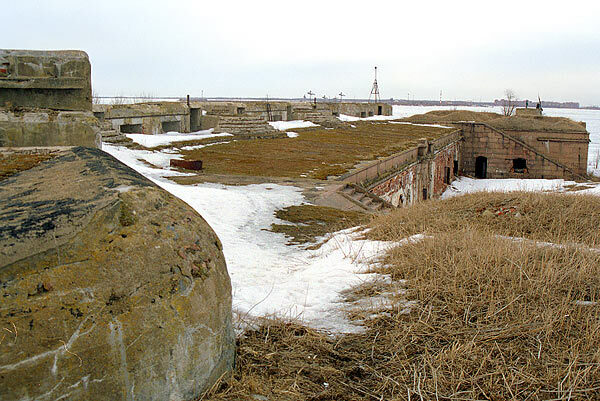 Sight of the roof of the fort. 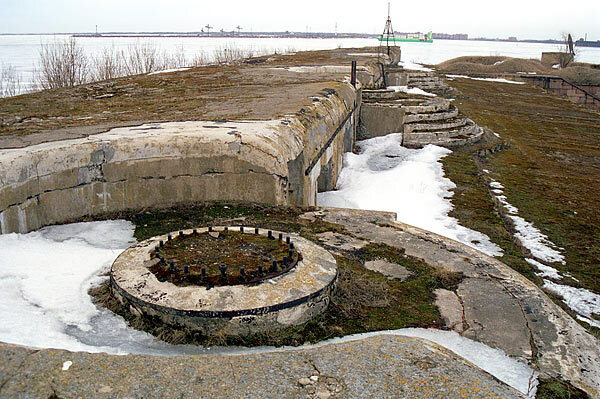 6 inch Canet gun's emplacements are seen. Kotlin island is seen on the far background.